James Prosek will be at the Nature Museum Friday and Saturday. LINCOLN PARK — A naturalist/writer/artist who has been called the "Audubon of the fishing world" by the New York Times will make his return to Chicago this weekend. 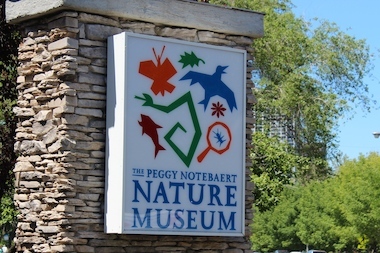 James Prosek's rare appearance at the Peggy Notebaert Nature Museum will include personal tours of his exhibit on extinction as well as a bird watching and fly-fishing tour. Prosek, who has yet to see his own exhibit, will walk guests through "Beyond Eden: The Work of James Prosek," which explores issues of extinction through a series of paintings depicting both real and imaginary animals. Prosek will walk guests through his exhibit Friday night before a screening of his documentary, "Nature: The Mystery of Eels." On Saturday, Prosek will lead a class on bird watching for beginners and a nature walk on museum grounds. "Artists help the process of interpreting nature for the public to kind of take in and help them digest it," Prosek said. Prosek will teaching the techniques of nature journaling and give a fly-casting demonstration. "Nature itself when you go out and make observations, it can be kind of messy, so I think science and art both kind of bring a certain order to that messiness that helps allow people to see things that they might not otherwise see," Prosek said. Prosek wrote his first book at age 19 called "Trout: an Illustrated History." When Will The EAMUS CATULI Sign Outside Wrigley Change?